To me, hotel breakfast is mostly a luxury. As a budget traveler, when I travel on my own I either opt for hostel or hotel that provides no breakfast most of the time. So whenever I got the chance to stay in a hotel that provides hotel breakfast, the inner child in me always jumps in excitement! Hehe. Not 100% sure why, but having breakfast in a hotel, especially buffet, always makes my day. I guess it’s true what they say, “eat breakfast like king”, and I feel like a queen whenever I eat hotel breakfast buffet. Which is a bit weird actually, because I don’t normally eat much during breakfast. I can’t even have nasi + soto ayam or lontong sayur for breakfast, I think it’s too much for me. My daily breakfast is either bread, cereal, or just fruits.. all things light, nothing too fulfilling. Last weekend I was one of the bridesmaid at my best friend’s wedding. It was held in Kelapa Gading area, and her family booked us a room in Grand Whiz hotel. Lucky me, they serve breakfast buffet! I can’t even remember when was the last time I had one. So before I checked out on Monday morning, I managed to have a complete breakfast meal! YAY! 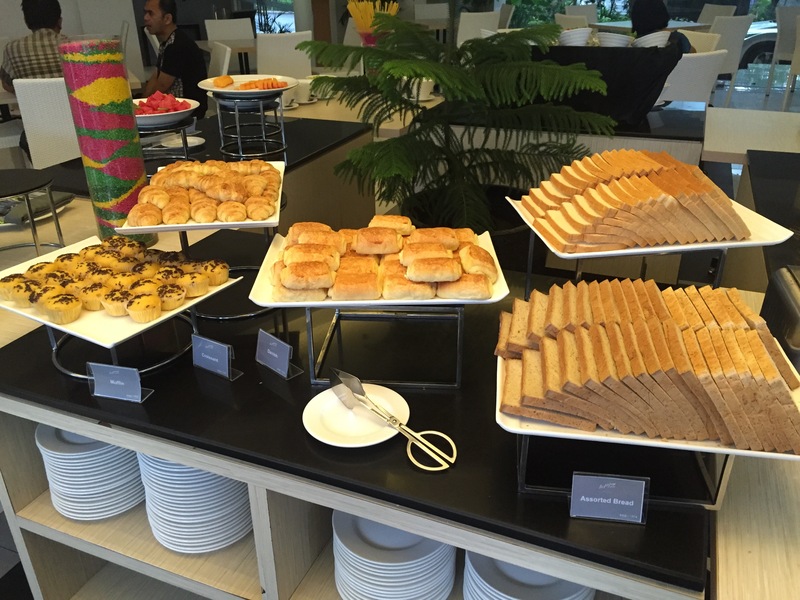 What about you, do you like having hotel breakfast or do you opt for no breakfast when you travel? Which hotel has the best breakfast to you? Hahaha totally know the feeling! I’m all for hotel breakfast, there’s just something about them that excite me (even though I know most of the time the food is not even that good). I also love it when a hotel serves up good pastries like croissant for brekkie and all that free coffee lol! I love hotel breakfast unfortunately more and more hotels in Europe don’t include breakfast anymore. You need to pay extra for this. And imo it is overpriced sometimes. So I skip this and take breakfast somewhere else instead. I LIKE having hotel breakfast but only if it is already included in the room rate and there is no option to have a room without breakfast, hahaha 😆 . But when I do have one, I have the exact same reaction as yours. I LOVE IT, especially if it is buffet breakfast! Heavenly!!! Yes Ko, if it’s not included in the room rate, I won’t have it most of the time.. hehehe. I travel a lot, both for work and for pleasure, and one of the things that I like from hotel is the breakfast. IMO, hotels in Asia offer better selection breakfast compare to hotel in Ireland. Their definition of buffet is slightly different. But I guess, the Irish does not eat soto Banjar or nasi pecel for breakfast. Kenyangnya protein sama karbohidrat menurutku besar. The latter lebih sebah, gak enak kenyangnya dan gak awet. Hopefully 🙂 when you do, I hope it’s going to be delicious! Dulu pas kerja dan mengharuskan sering traveling, aku ga suka makan dihotel Cry. Entah kenapa, mungkin bosen kali dengan makanan hotel yang modelnya itu2 saja. Bahkan pas nginep di Novotel Jogja (kalo ga salah inget ya) selama 5 haru, 2 hari pertama aku sarapan dihotel. Sisa hari aku kelayapan nyari makanan diluar haha. Bahkan lebih memilih naik transjogja ke Bringharjo nyari sarapan pecel. Dan setiap akan traveling, aku sudah eneg ngebayangin makanan hotel haha. Frekuensi traveling kerjaanku 80% dlm sebulan. Tapi kalo lagi jalan2 sendirian bukan urusan kantor, suka banget sarapan dihotel. aku pengen 22nyaa kdng taa.. pengen cobain breakfast di hotel, kalo hotelnya baguss.. dan pengen cobain makanan di daerah sana juga.. since udah travelling kann.. hehe..
kalau buat makan pagi paling enak memang makan omelete sama sosis sama roti tawar klo pas di hotel, klo gak ya nasi goreng enak banget pasti kan?